, Online Marketing Specialist at Jazva, Inc. If you own a car, you have probably had to buy a car part at one time or another. And you’re not alone. In 2018, sales of auto parts in the United States equaled roughly $140 billion USD according to marketing and research firm Hedges & Company. Only a decade ago, that meant buying through traditional channels, like your mechanic or retail automotive store. But, more and more consumers are shifting their buying behavior online. In 2018, there were $10 billion USD in auto parts online sales, a 16.3% increase in sales from 2017. Planning to Start an Auto Parts Business Online? For these traditional stores and the brands they carry, the challenge is how to stay relevant in the evolving retail landscape. And for entrepreneurs, the question becomes how to best take advantage of this enormous opportunity. An automotive eCommerce platform comes with a set of challenges that are unique to the products, because of the range of cars available, the difficulty of aligning the right cars with the right product, and delivering large, expensive parts in a timely manner. In this article, we will explore how to set up your own automotive eCommerce website. We will cover the challenges and how to best tackle them, explore the automotive eCommerce tech solutions you will need, and discuss the best marketing techniques for gaining traction in this fast-paced niche. 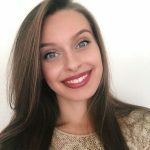 Should I sell on Amazon and eBay, or on my own eCommerce website? 2. Who sells auto parts online? 3. Who buys auto parts online? 4. What are the challenges of starting an auto parts store online? This is a question that many brands and retailers struggle with. Amazon and eBay are often the first places consumers search for products. They have the infrastructure and technology to support enormous web traffic, and the established infrastructure to help you sell your product. However, selling on these websites has its own disadvantages. When your automotive eCommerce business is located on the platform of another business, you give up much of the control. Should Amazon or eBay decide to ban your business or change its rules, you will have little choice or say in the matter. Additionally, Amazon has access to all sales data across its platforms and sometimes competes directly with brands. If your business is doing a lot of sales on Amazon, they will know and may act to squeeze you out. Remember, Amazon does not need to generate a profit, and often does not. Furthermore, because your automotive eCommerce business does not control the relationship with the end customer, every sale is a customer for Amazon or eBay, not for you. That means that you lose the ability to retarget or sell to them again later – often the most profitable aspect of online business, given the high cost to initial customer acquisition. For these reasons, this guide will focus on how to start an online auto parts business, using eCommerce software. Since the 1990s, financial analysts have been watching the explosive growth of companies like Amazon. Alongside the demise of retail behemoths like Sears and Kmart they are drawing one conclusion: shoppers are moving online. 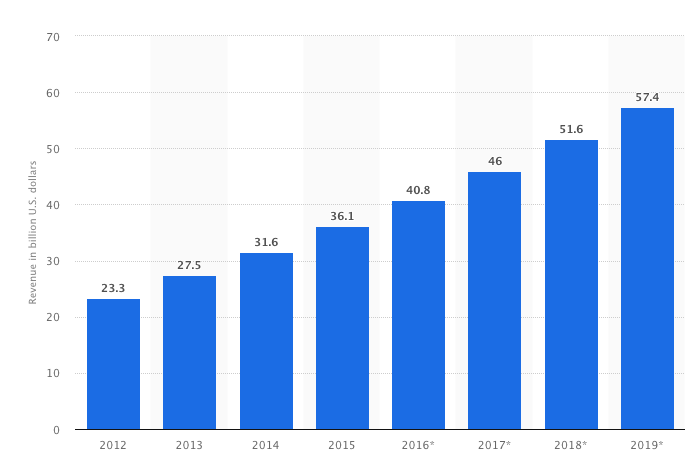 In fact, many would be surprised to hear that overall eCommerce sales represent only 9% of total sales in the USA and 17% of sales in the UK but the growth forecast is nothing short of explosive. eMarketer claims that eCommerce sales grew over 23% in 2017, against an overall retail growth of 5.8%. As more of the world moves online, the trend in the USA and the rest of the world is leaning heavily digital. The market for automotive parts in the USA is similarly expanding. According to a 2016 report from the International Trade Administration, the US automotive parts industry nearly doubled in the 7 years from 2009 to 2016. In both OE or OEM parts and aftermarket parts, the global industry sees an incredible amount of trade between the United States, Canada, and Mexico, as well as smaller markets in Asia and the Middle East. Although heavily competitive, there are also developing markets that are rich in opportunity for foreign manufacturers and retailers, including Brazil, India, and Malaysia. For budding entrepreneurs and for established brands or retailers looking to create an auto parts eCommerce store, the $10 billion USD in total sales presents a very compelling reason for developing digital automotive eCommerce solutions. Because the costs required to set up an online store are so low now, with a solution like X-Cart businesses have little to lose and an enormous amount to gain by creating and maintaining their own online storefront. The online auto parts market is fragmented between a number of retailers, brands and marketplaces. To begin, it is important to mark the distinction between the three. A retailer is a store, online or otherwise, that sells products that can be marketed under their own brand umbrella, or those of other brands. Brands themselves are the manufacturers of components. And marketplaces, like Amazon and eBay provide the sales platforms for many retailers and brands to sell their products digitally. Auto parts themselves can be separated into manufacturer or OEM parts, and aftermarket parts. A 2018 survey by eMarketer in July reported that Amazon represented just over 49% of all eCommerce sales in the United States. This number is expected to exceed 50% by the end of 2018. In fact, at second place, eBay only holds about 6.6% of market share, and no other company breaks out of the single digits. However, Amazon’s market share is strongly concentrated in areas like consumer electronics and apparel. The eCommerce automotive industry represents only 3% of Amazon’s sales. 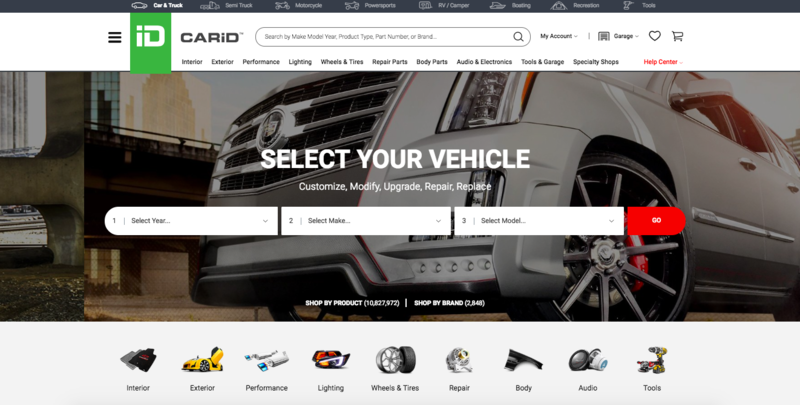 Although Amazon is obviously extremely popular, many consumers of auto parts also shop on sites like CARiD.com, who have more established relationships or histories. Because of the cost of car parts, consumers want to know that the store and the parts are safe. This is why many trusted brands like Advance Auto Parts have found some success online. With over 200 stores and sales approaching $10 billion USD a year, these traditional retailers have sought to compete with online-only marketplaces like Amazon. The market for automotive parts online is expanding, in part, because of the wide range of consumers who shop online. They can be separated into two categories: professionals, and consumers. Professionals, like repair technicians and mechanics, need to source auto parts for their businesses. Frequently, they rely on same-day delivery. Speed is important to them, because they must turnover customers quickly, and cannot afford to deal with delays. Consumers can be separated further into two more categories: hobbyists, and do-it-yourselfers. Hobbyists purchase items that are accessories, designed to augment the experience of owning a car. They can afford to take their time and wait for parts to arrive. Do-it-yourselfers may be shopping for essential parts but would prefer to save money rather than deal with the cost of repair technicians and mechanics. With the growth of YouTube, Wikipedia, and other free, publically available instructions, tasks like changing or tires, replacing brakes, and other repair tasks are easy to achieve at home. These car owners need reliable, affordable parts that will fit the vehicle and can be relied on to not break down – and, of course, an auto parts website from which to buy. For many entrepreneurs and established bricks-and-mortar businesses, selling over the internet can be alluring. Without the need for expensive retail rent in well-trafficked locations, the profit margins often appear higher, and the staff costs can be lower. However, online stores carry their own set of challenges. Just like any business, success will rely on the right combination of tools and strategy. When establishing an online store for eCommerce car sales, it can be difficult to decide which products to sell. If you intend to stock the products yourself, you have a limited amount of space and budget for products and must choose carefully by exploring automotive eCommerce trends. Even if you dropship products, there is still an investment in time and effort to listing products online, so it is worth doing your homework. First, it is essential to do market research. For example, parts that are accessories see a drop in sales when the economy declines. That’s because, as consumers feel the pinch, they begin to eliminate purchases that are not essential. However, components that are essential to the operation of the vehicle are often recession-proof. As long as people own cars and drive to work, they will need engine parts to get there. This can help ensure that the automotive aftermarket growth rate will continue to climb. Another important angle to explore in your initial research are the logistical issues. Once your store is online, you will have to begin acquiring customers through paid and free advertising. When this happens, you will identify the average cost of acquiring this customer. Keep in mind that any auto part that cost more will have larger profits per sale, but will also have longer sales cycles. Physically larger products will be more expensive to ship and store. Parts that are standardized will require fewer SKUs, and are simpler to install. Parts that are very complex will require more sales support and may see higher returns. Finally, explore the competition to see which items are already heavily marketed online, and compare this against demand in the market. You will need to know the new and aftermarket auto parts sales statistics. A quick search on amazon.com for windshield wiper blades has over 5,000 results, whereas a search for spark plugs reveals over 20,000 results. One way marketers conduct their own research into automotive aftermarket trends and the viability of products at a cost that is acceptable to their business model is to run test advertisements. For example, by setting aside a budget of several hundred dollars and running identical Facebook ads for different components, measuring the click through and conversion rates can give some indication of consumer interest and the rough cost of acquiring new customers. Only ten years ago, starting an online store to sell automotive parts would have been a very large and expensive challenge. Many businesses paid tens or even hundreds of thousands of dollars to create an online store for custom software and web development. However, that has very much changed. With an off-the-shelf eCommerce platform like X-Cart brands and retailers can set up a free eCommerce website in a matter of hours. Ecommerce software, like X-Cart, offers easy development and active support, for one-time licensing fees, with no monthly or transaction fees. Just choose a template designed for auto parts like this one by X-Cart, and you are ready to begin. It’s not quite a turnkey automotive website, but it’s not far off. In a traditional retail experience, the appearance of your store and the knowledgeability of your sales staff can make or break a sale. In the world of eCommerce, you have neither of those things. Instead, you must work on the basis of trust and price. Consumers have to believe that your business is genuine before they hand over their credit cards. And that comes down to your automotive parts website design. The front page, or home page, is where most of your customers will land on their first visit. It’s essential to have large, high-quality graphics that are unique to your online business. Ensure that there is a distinctive brand continuity between the website and any other assets you have, like a logo, storefront, or packaging. This means that colors, fonts, and the tone of writing should be similar. It’s important to create a seamless shopping experience. If the customer is jarred or worries that they’ve stumbled onto the wrong page, the trust will be broken and they are likely to leave your website. Once the customer begins to explore your auto parts store, the navigation and search elements become essential. A top menu bar that is clear and easy-to-follow will allow customers to find what they need. Because consumers and professionals know what car they have, make sure there is an easy way for them to filter for the specific make, model, and year. They are not likely to purchase if they do not know whether a part will fit their car or not. Doubt and uncertainty are the enemies of conversion. Once the customer is ready to buy, they will add the items to their online shopping cart. Make sure that item price is clearly displayed, as is the ability to increase or decrease quantity. There is a reason why Google is one of the world’s largest and most successful companies: people like to search for what they need. Ensure your automotive search feature is strong enough to return accurate results. Most ecommerce software have plugins or add-ons that will expand the search feature to look up make/model/year, as well as keywords and categories. Because car eCommerce consumers cannot touch or feel your products, they must rely on photography. High quality images give the customer confidence, and let them explore the item. Small, blurry pictures make them lose trust in you. It can be expensive, but high quality images are an absolute must for online sales. Many businesses are skeptical of the need to hire copywriters. That’s because the owners assume that they can do this task themselves. However, experienced copywriters are experts at making sure that your words don’t just flow, they inspire action. It’s also important to stay on-brand in your wording, and to provide continuity to the customer. Once your online business has been created, you’ve uploaded photos and descriptions, and products are listed, you are ready to begin receiving orders. As you look forward, here are some things to keep in mind to help ensure the success of your store. Whether your automotive eCommerce website is selling automotive parts direct to consumer or to other businesses, you will need to communicate your unique values through marketing. For many smaller websites, the first step is digital advertising and social media. Facebook and Google dominate the online ad world, and are very effective platforms with small or medium budgets. You can do this yourself, if you are adept, or you can hire a professional or freelance advertising manager, who can help you set up and measure the results of these campaigns. Once your budget grows, you can begin looking at direct mail campaigns like flyers and gift cards, or television, radio, and billboard ads. The costs are higher, but so too are the potential returns. The more niche your automotive commerce product, the more essential it will be for you to effectively serve your customer. This could include a pre-sale phone call with questions, or a post-sale email with concerns. If you want to build a trusting relationship with your customer, you need to be there for them. However, customer service can be more expensive than many businesses believe. Remember that if you are selling relatively low-value items, like windshield wiper blades, having a customer service representative spend 30 minutes on the phone to complete a sale could result in no profit for your business. Amazon has set the eCommerce standard in regards to shipping. In order to be competitive, you may want to offer a free shipping threshold to your customers. It’s also important to make sure that you are getting orders out the door quickly. When Amazon can deliver something in two days, you cannot wait two weeks before processing an order and shipping the goods. Larger items may be prohibitively expensive to ship. Heavy or oversized items will cost even more. You will need to decide if you can subsidize this cost in your automotive eCommerce business model, or whether you will pass it on to the customer. Doing so will reduce your conversions, but help preserve your margins. Don’t forget about returns. Many businesses offer free return shipping to their customers. If you choose to go this route, you will want to calculate your average return rate, and the average return shipping, so that you can add that to your product price to average out the expense. You can do a similar thing for lost or damaged orders. You may choose to ensure each automotive eCommerce package, but the costs can be high. Instead, if you average out the rate of packages that are lost or damaged, you may choose to self-insure instead. For example, if the insurance would be 2% of the declared value but only 1% of your orders are lost in transit, it may be cheaper to simply eat the costs of replacement when they arise. 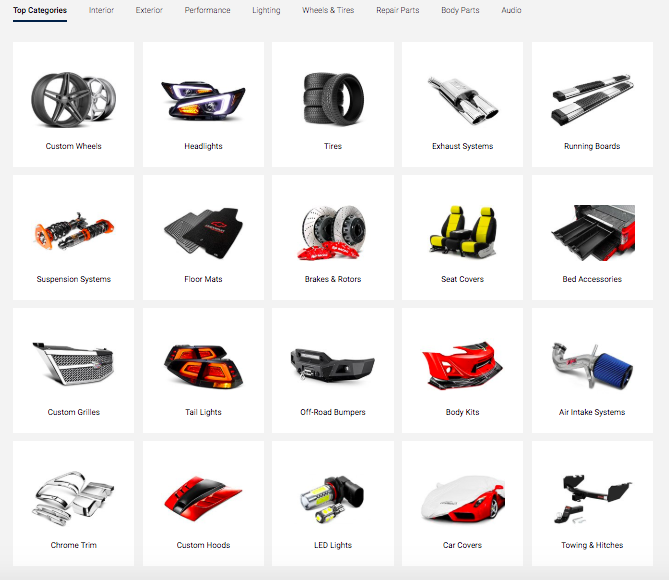 In this guide, you have learned how to create a stellar webstore for auto parts or accessories. Although the automotive industry is challenging and competitive, there are many rewards. By choosing the right automotive eCommerce software, doing market research on your competitors, and establishing a robust and trust-worthy eCommerce site, you can begin to sell products online.